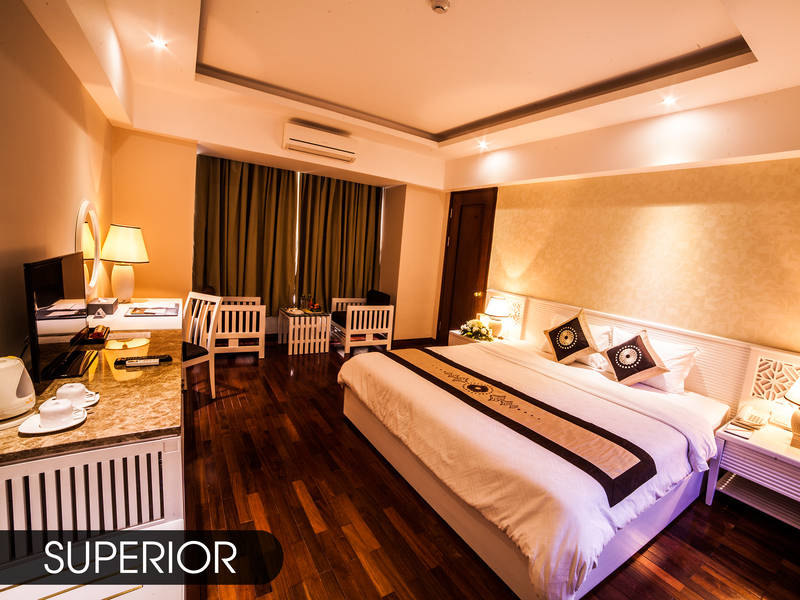 The Superior rooms come with a generous workspace and an array of in-room services and amenities provide a warm and comfortable ambience. 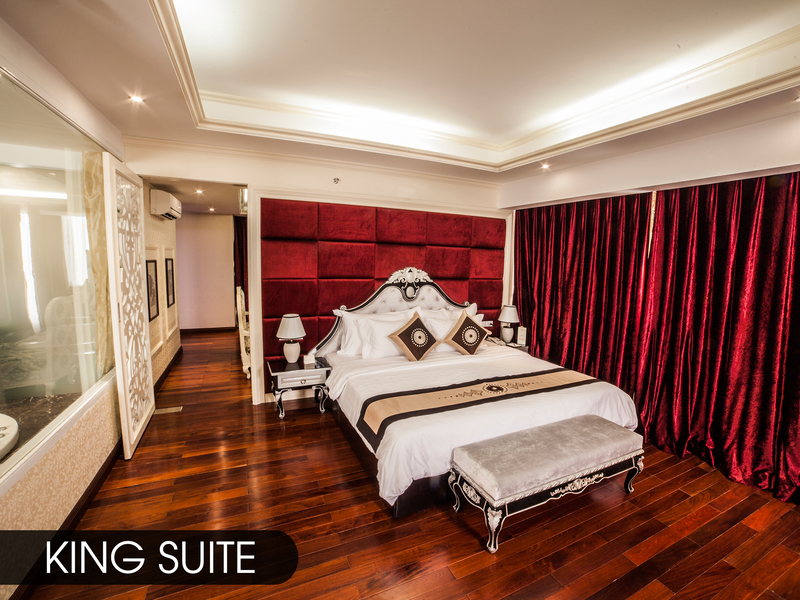 King Suite with spa package min 2 nightsOverlooking the river and private garden. 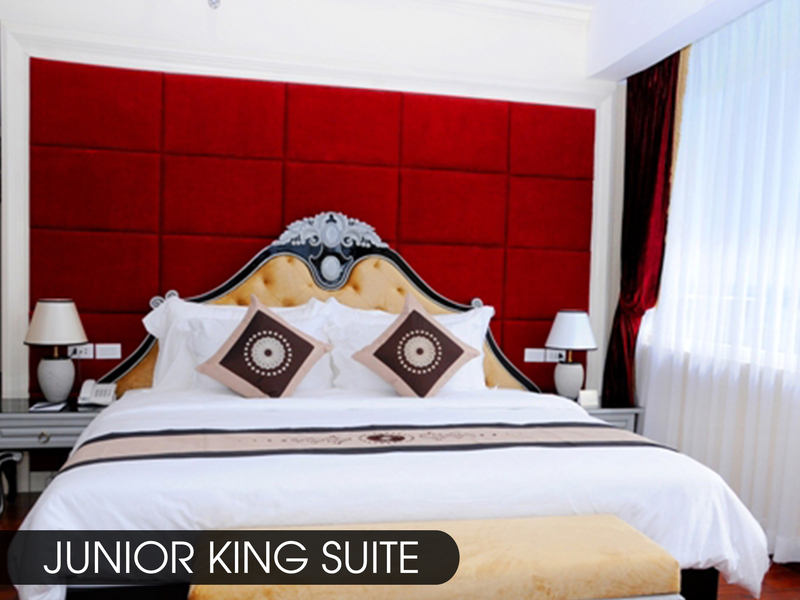 Our King Suite features an impressive entrance, king-size bedroom, comfortable living room. Spoil yourself in this modern 75m² suite and enjoy spectacular river views. Stay in touch with high speed internet access or unwind in the separate living room. Even more spacious than Deluxe Room, our Signature Suites offer a balance of luxury and space with a separate living room. 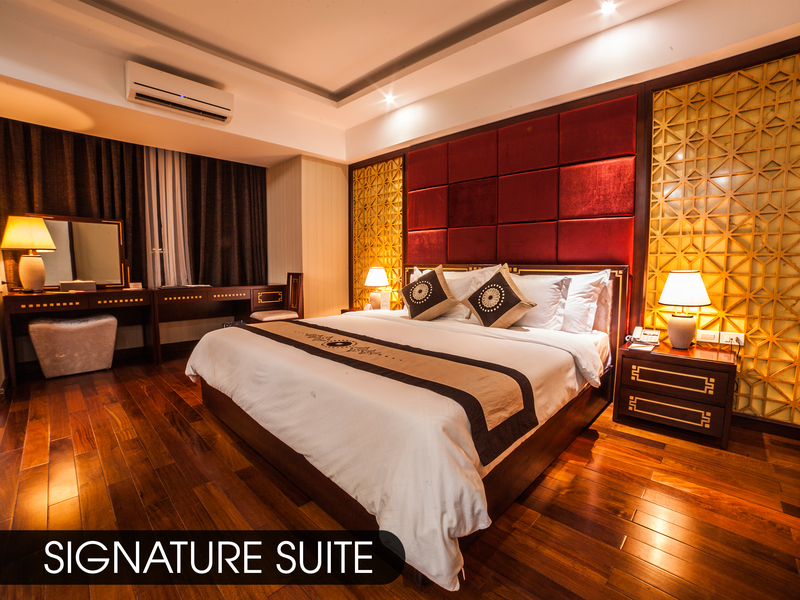 The Signature Suites are decorated in different color tones and have elegantly residential feel. 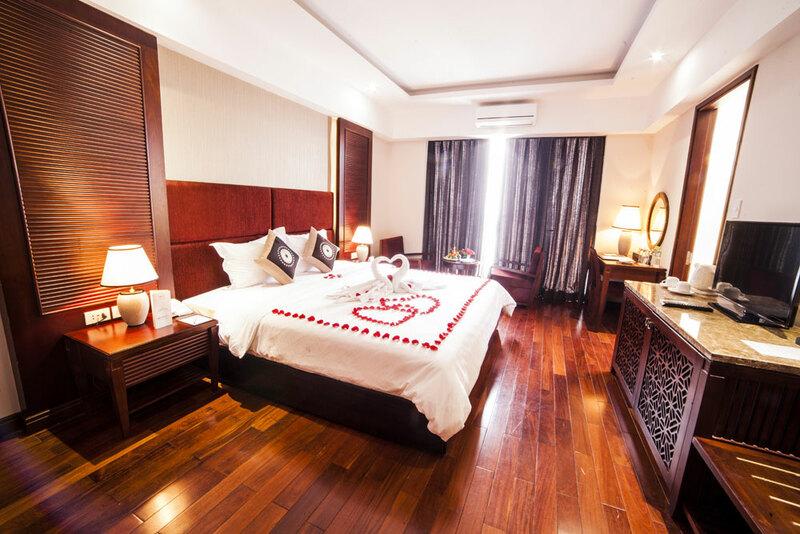 Located on the high floor, delightful Deluxe River View rooms provide outstanding views of Huong River from their private balcony. 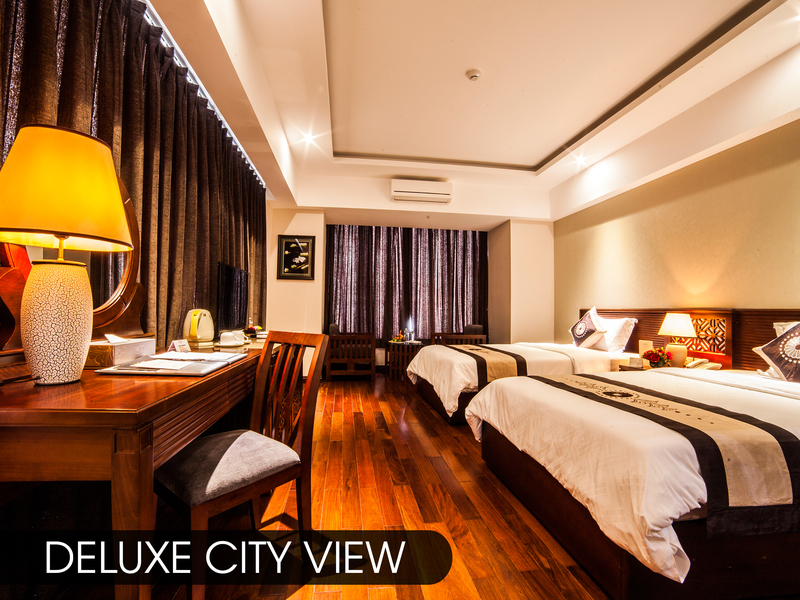 All Deluxe City View rooms offer modern comfort decorated in warm color ensuring a relaxed and welcome feel.